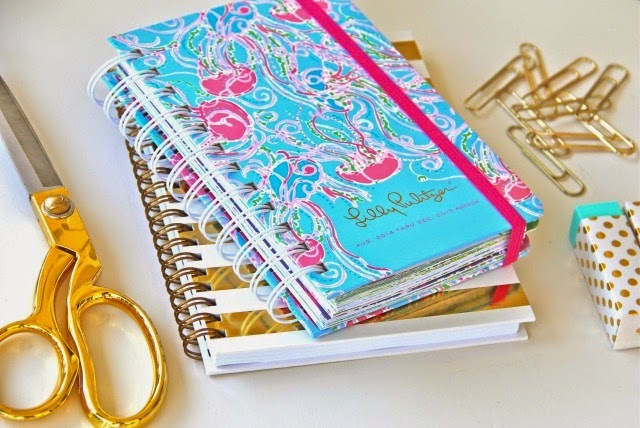 I'm so excited to be teaming up with Swoozies today to show you the new 2014-2015 Lilly Pulitzer agendas! I've always been the type of girl who plans everything out - and writes it down. I'm such a sucker for chic desk accessories, especially when it's something you can throw in your handbag and carry with you. These agendas run from August 2014 - December 2015, so they definitely have you covered for quite some time. My favorite part of the agenda has to be the inspiring quotes with the start of each new month + the colorful stickers on the inside panel. They are perfect for marking special days and fun events! All of the Lilly prints are so lively and vibrant in color, but this 'lilly lover' print is right up my alley. 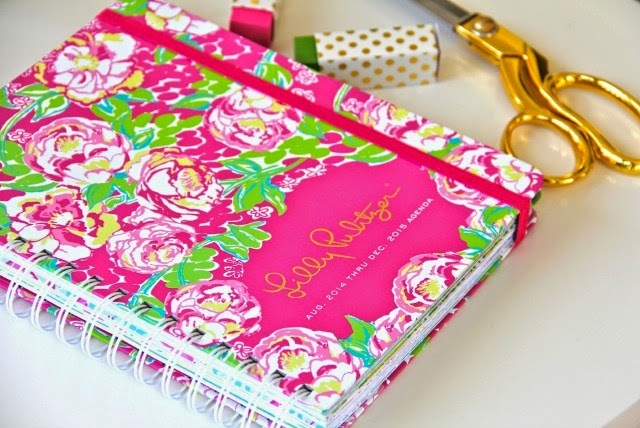 The lovely flowers and shades of pink are the perfect addition to an already stylish and functional planner. 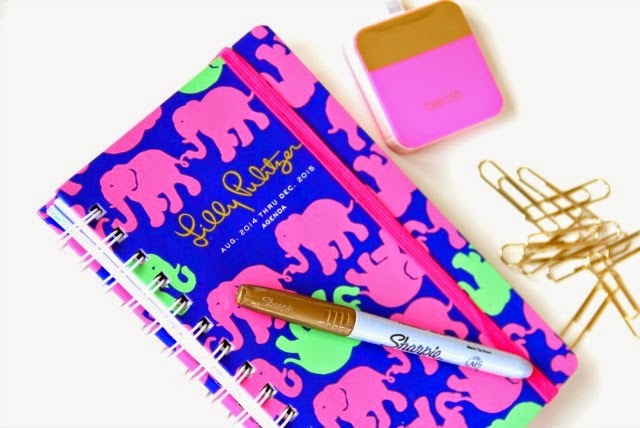 The agendas are available for pre-order now, so head on over to swoozies.com and pick yours up today! P.S. - stop by my instagram later today to see how you can enter to win an agenda of your choice! 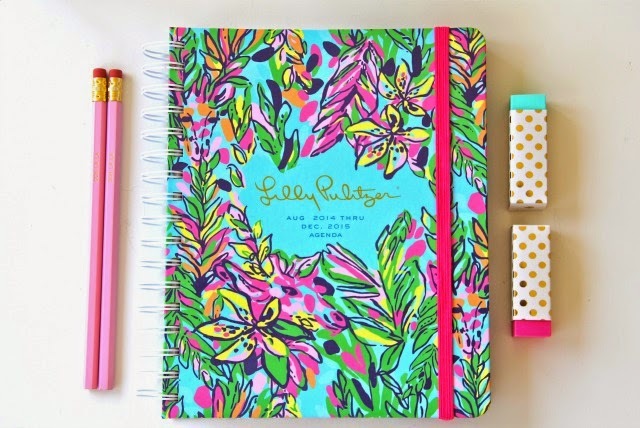 I love my Lilly planner and I will definitely be getting another one at the end of the year! Love this years selections! 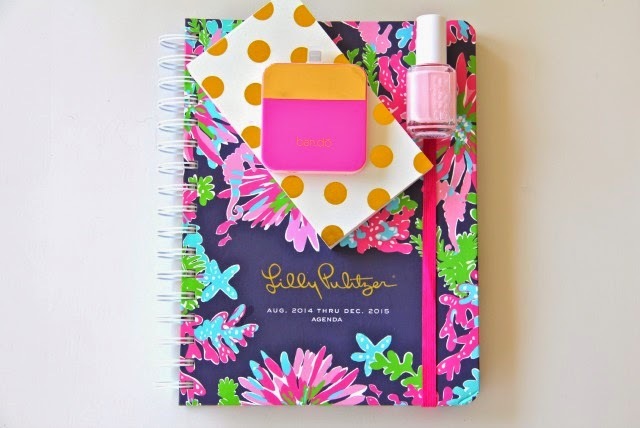 I have a bunch of matching Lilly office accessories, I'm a sucker for cute desk accessories as well! I love Swoozie's. They have some precious items for last-minute gifts! Love this! Gorgeous planners! I love desk accessories too! I'm totally a sucker for any thing Lilly! I'm that girl who organizes her whole year on a planner! Love these! Thanks for posting!